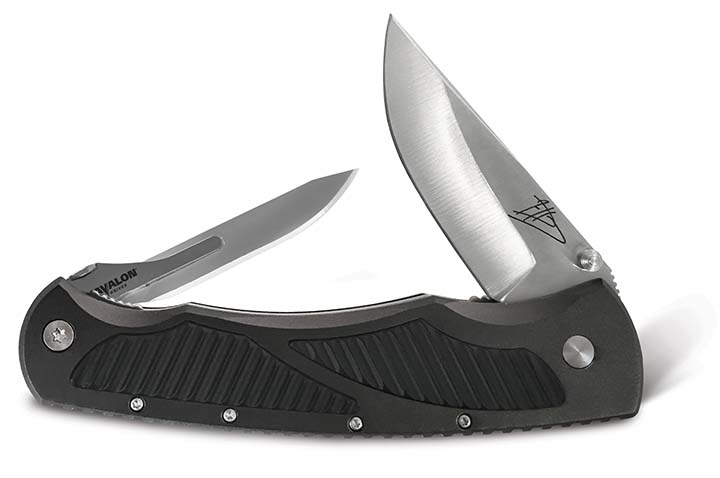 Introducing the double-folding Jim Shockey Signature Series - Havalon Titan-Pro. Featuring Havalon’s revolutionary Quik-Change blade system on one end and a Cryo hardened AUS8 blade on the other. This combination gives you the unmatched sharpness of a Havalon blade and the strength of a traditional fixed blade all in one tool.